Shoes tied – chubby fingers take the bunny round the hole to make the perfectly lopsided bow. Letters formed – pencils in an awkward grip sketch letters all the way to the blue border, and little ones float below the dotted line. Teeth brushed – paste on brush, sink, lips, shirt and hands – yet teeth are sparkly clean. These accomplishments might not seem like much, but to our children who finally achieve them, they are the World Cup, Wimbledon and Olympics all wrapped into one. Early victories set the stage for all the mountains yet to climb. Things they never thought possible – riding without training wheels, curling their own hair, doing their own laundry ~ well, in a perfect world ~ all come a little easier because of these “insignificant wins” on the battlefield of childhood. But what if these milestones don’t come so naturally? What if the Lord chooses to slow the progress, interject difficulties or disabilities into the training of our children? 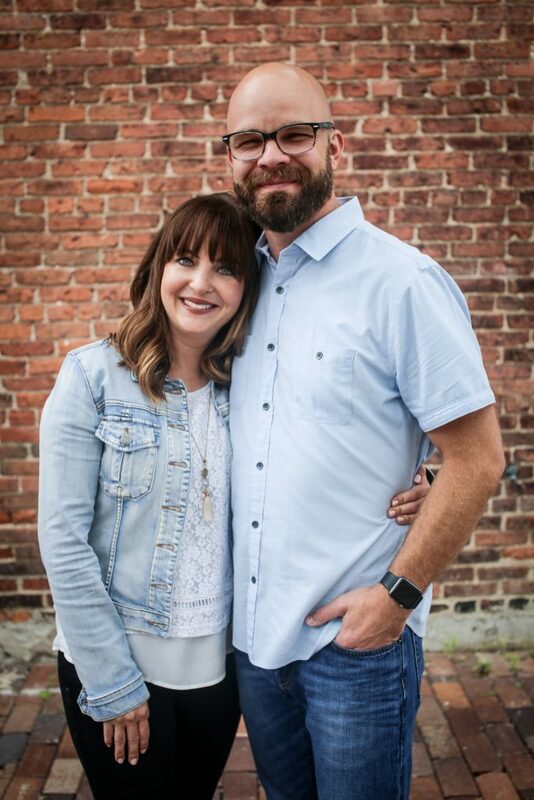 Our family was built through the gift of international adoption. It meant instant “different.” Faces were different. Timeframes were different. Development might be different. Motor skills – fine and gross – might not come as quickly as they should. Emotional regulation and trust would take time. Achievements of the tiniest sort could take therapy and oodles of prayer. We had prepared, read and prayed. We were ready. But as the years passed, our own false sense of being crowned “Parents of the Millennia” was tested. When the demon of comparison reared its ugly head, we suddenly needed validation that we were as good as the parents next door whose children recited every Psalm and wrote concertos in their spare time. Frustration and belittlements of “why can’t you just…like everyone else” crept into our minds and ultimately our vocabulary. It was ugly and costly. Our own insecurities reigned over the unconditional love we had so admirably set out to display. Like the floods of Noah, the Lord rushed in and sternly, but lovingly, revealed our sin. We wept. We sought. We repented. Our definition of victory changed. There is no such thing as small victories. There are only small windows to celebrate the victories. With a child who has a harder time than most – whatever the reason – victory is hard fought for and can be fleeting. If your eye is off the ball, you will miss it, and the need to be like everyone else will overshadow the great work accomplished. 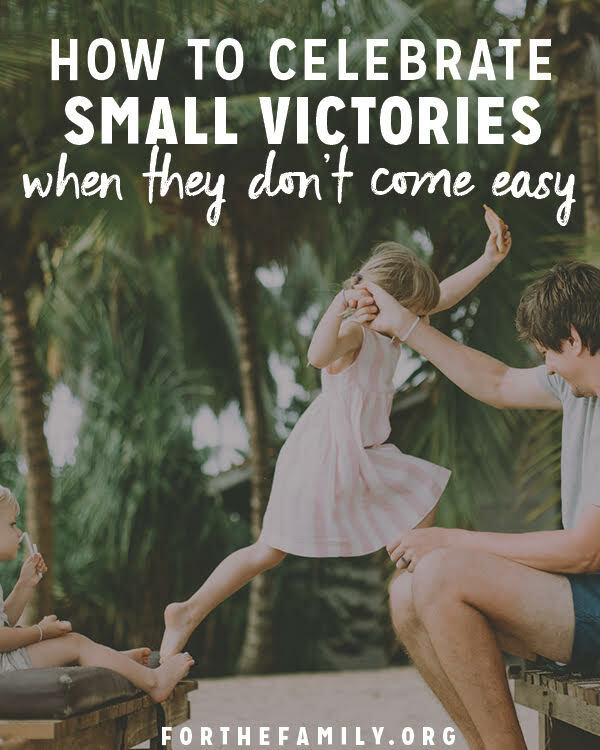 So how do we celebrate the “small victories” that the rest of the world takes for granted? Acknowledge, praise, and rejoice in what the culture might find common, ordinary or expected. Raise their confidence and solidify their trust that you’ve got their back and are “in it to win it” with them. 2. Don’t look to Facebook or Instagram to measure success. Your child may not have a full blow disorder or diagnosis, but unique struggles that slow them down or simply appear out of the norm, weigh heavily on their self-esteem. Equating our children to the standards on social media only leads to heartache. 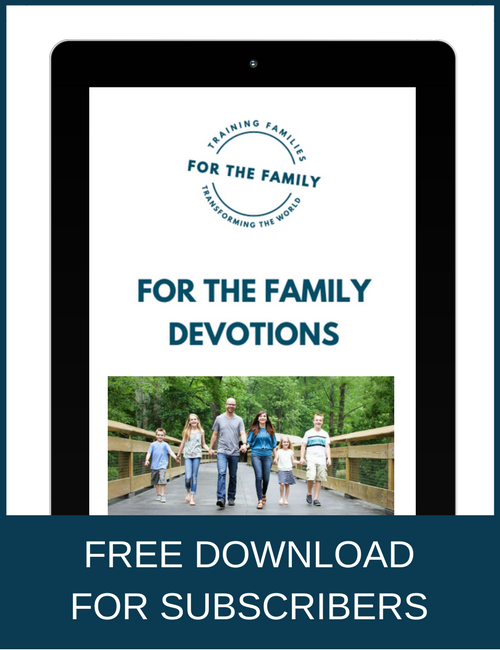 Hebrews 12:1-2 says, “let us run with perseverance the race marked out for us, fixing our eyes on Jesus, the pioneer and perfecter of faith.” The path He’s chosen for our children leads to their best, even if it doesn’t look like anyone else’s race. Don’t sweat the small stuff, but celebrate all the stuff that makes you sweat. « Advice for a new Homeschooling Mom: 33 Things I’ve Learned in 25 years of homeschooling!